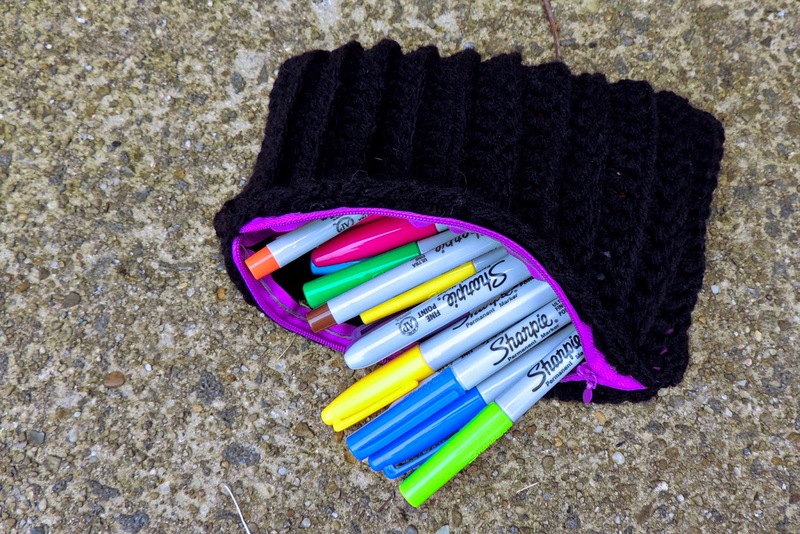 Ribbed Crochet Bag that holds all my sharpie markers. Hello everyone, after an extremely busy summer I have finally sat down to finish off some crochet projects that have been sitting in the to finish bag. One of these happens to be a cute little black bag that I whipped together. I didn't write down the stitches as a I crocheted this bag but I plan on making some more of these bags for the holiday season. I will be sure so provide much more detailed instructions and will add the crochet pattern my blog and Ravelry so that everyone can find this awesome crochet pattern. The bag was made with front post triple crochet and I was able to finish this super cute little crochet bag in about an afternoon. I chose not to put a lining in my ribbed crochet bag because I am using it to hold sharpie markers but if you are using this bag to hold small trinkets or something private, it will almost definitely need a lining. If you choose not to sew in a lining, I still recommend sewing in a zipper. 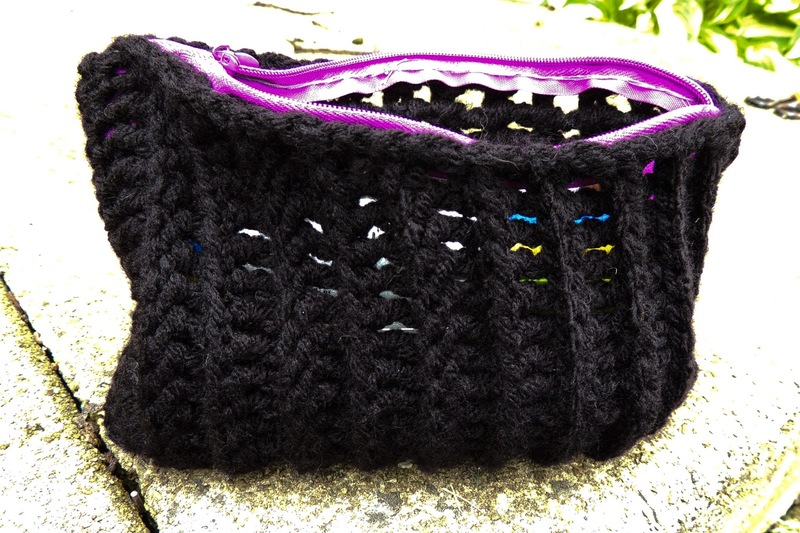 To make this bag a created a swatch of fabric using front post triple crochet. That's all. So simple. I then folded the fabric swatch so the "wrong side" was on the outside of the bag. That's how I achieved this nifty ribbed effect. Front View of my ribbed crochet bag. thanks, sadly I completely forgot to write down how I made this bag so I have to make another one but when I do I will post the pattern for free here.